Windows and exterior doors are, of course, necessary elements of any home, but if they are old and drafty, you may wonder about how to make them more energy efficient. Whether you live in an historic home, or a home that has only single-pane windows, there are some relatively inexpensive and easy fixes you can do to reduce your heating bills this winter, reduce cooling bills in the summer, and make your home feel more comfortable year-round. These steps will also reduce your carbon footprint by reducing greenhouse gases and pollution from burning fossil fuels to generate energy. Plus, tax incentives are available for some measures. Weatherstrip and caulk gaps around existing windows and doors to reduce drafts. Close insulated drapes at night, as well as in those rooms that don’t receive much sunlight during the day. Keep window treatments open during the day to allow sunlight to enter and warm up your living spaces. Trim overgrown shrubs and hedges that are blocking windows and preventing sunlight from entering your home. Place a special plastic film or sheeting over windows. It reduces drafts by trapping air between the window glass and the film. This layer of air becomes an insulator and can almost double the R-value of a single-pane window. The shrinkwrap variety is virtually invisible too. Advanced Energy Panels are another suitable choice and add two additional layers of glazing to your existing windows. They are custom-made and mounted on the inside of your windows, so they don’t detract from your window’s appearance on either the outside or inside. Made of polyolefin, they are made to last for years. Add storm windows and doors to reduce air movement into and out of existing windows and doors, and therefore reduce heating and cooling costs. Exterior- or interior-mounting varieties are available, as well as low-E and UV-protection models. The interior-mounted ones can easily be installed by “do-it-yourself” homeowners. 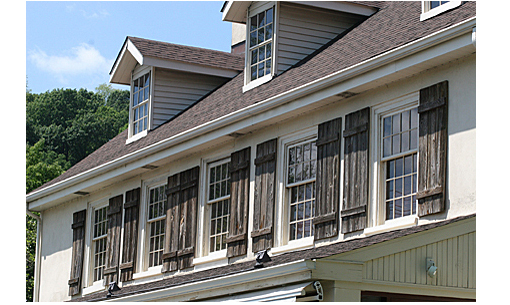 Storm windows and doors also reduce the infiltration of outside noise into your home. Federal tax credits may be available depending on the models you choose. When it’s time to replace old windows and doors, opt for Energy Star rated models and receive tax credits too! These new windows and doors will also screen out harmful ultraviolet light and reduce fading and discoloring of furniture, carpets and other items inside your home. Special offers and rebates may also be available in your area.